For the last 4 years, we’ve had the pleasure of developing a bespoke birthday hamper presented in red and blue to match the client’s brand colours. The brief was for a good bottle of wine teamed with some good quality edibles (chocolate a must!) so that they could be presented in the office to recognise employees birthdays. 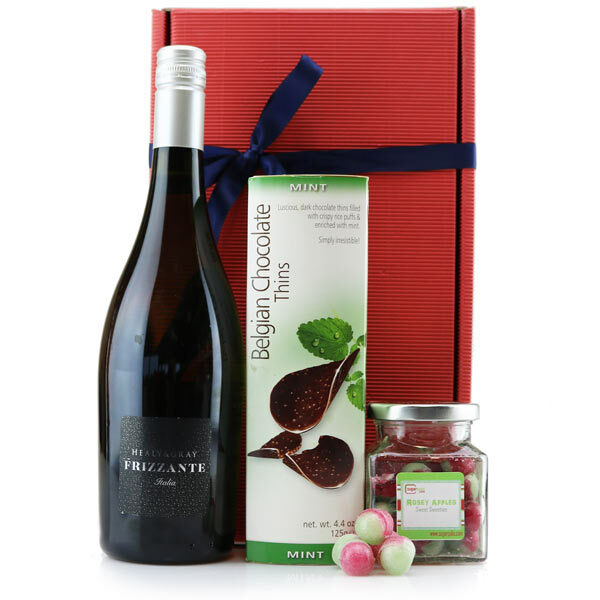 The hampers are ordered in bulk on a monthly basis for each of their regional offices to ensure that the contents are freshly put together and have a choice of sparkling, red or white wine.